Advanced Tickets are on sale now!!! The dawn of The Trews Version 2.0 can be traced to 2016 and the arrival of Time Capsule. The band had some misgivings about issuing a greatest hits album despite its serving as a handy snapshot of their excellent output to date while adding four new songs that foreshadowed the prismatic intensity of Civilianaires. “By summer 2017 we were in Vancouver with Bob Rock fully intending to do a good portion of the record with him,” John-Angus MacDonald continues, noting that the band had met the super-producer (credits include Aerosmith, The Cult, Bon Jovi, Mötley Crüe, Metallica) at South by Southwest in 2016 and kept in touch. As well, the MacDonalds marvel at how the writing and recording with Hoffman — who they say engaged the trio in a series of barrier-melting “thought experiments” in the studio — happened virtually simultaneously and wholly collaboratively. Meanwhile, amid that invigorating creative burst, the band also inked a new management deal with heavyweight New York firm Gold Village Entertainment, helmed by legendary music executive Danny Goldberg. 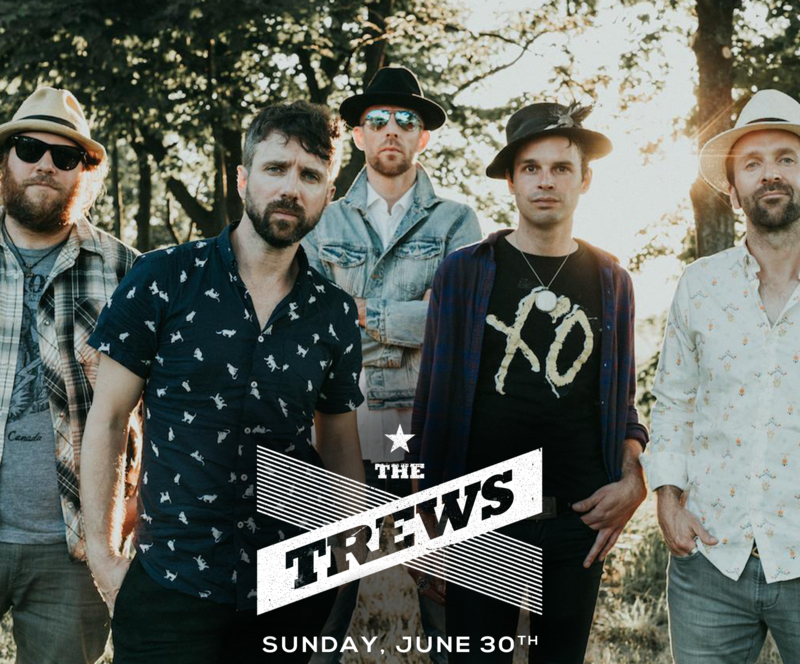 Now, with new representation, a new label, new drummer and a brilliant new album in the can, The Trews are ready for their proverbial close-up… some 15-odd years after they began. “REM was such an inspiration for us,” John-Angus MacDonald says. “Every record was an adventure. That’s what I love about rock and roll. It’s pretty simple — drums, bass, guitars — yet you have to go into the wilderness of creativity to find something new and bring it back.